Oil and mixed media on textured substrate. The “coal” in the visual center has a bas-relief quality as well as sparkle from layers of paint and metallic light-reflecting elements. 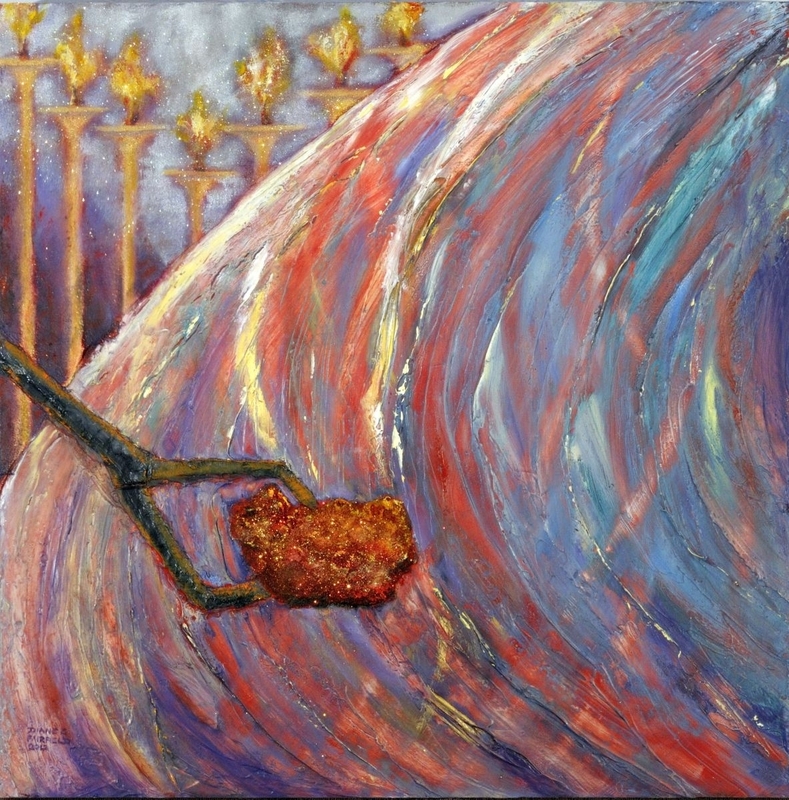 This painting was inspired by Isaiah 6 in the Bible where the robe of the Lord fills the temple, the temple fills with smoke and a coal is held out to cleanse Isaiah’s lips before he is sent out as a prophet for the Lord.